Mark-Paul Gosselaar is a self-professed theater novice and not afraid to admit it. Right now, he's making his New York stage debut off-Broadway in "The Understudy" alongside theater veterans Julie White, a best-actress Tony Award winner for "The Little Dog Laughed," and Justin Kirk, who appeared on Broadway and in the film version of "Love! Valour! Compassion!" The role required him to step outside his comfort zone and perform twice a day, feeding off the energy of the live audience, with 80 pages of dialogue to remember. "I had no idea about anything," says Gosselaar. "I didn't know the process or the terminology," he says. "Everything has been taught to me by my director Scott Ellis and castmates." 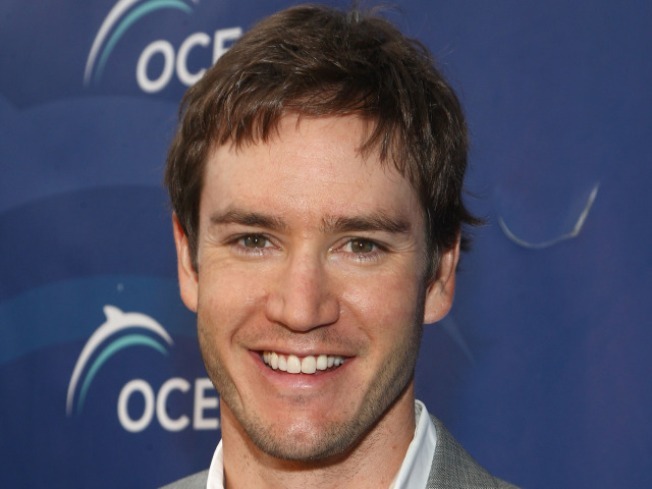 Fittingly, Gosselaar plays Jake, a big movie star who's also an understudy in a Broadway play. Kirk plays the understudy to Gosselaar, and White is the stage manager. The entire story takes place at a rehearsal and shows how a theater understudy is always waiting in the wings hoping for their moment in the spotlight. Gosselaar, 35, is no stranger to fame. He's logged almost 30 years in showbiz. While he admits to not really following the theater scene prior to "The Understudy," he has been busy making television shows like "Saved by the Bell," ''NYPD Blue," and "Raising the Bar" on TNT. He admits to practicing his new lines while walking to the theater, in a cab and on the subway. "A lot of questions my character brings up are some of the questions I had," admits Gosselaar. "'What's a half-hour call? What's the process of an understudy? So, the understudy is really never gonna go on (stage)?' I had the same questions that Jake has in the play. I had to ask what the fourth wall was (where a character speaks directly to the audience.) The script says, Justin (Kirk) breaks the fourth wall. I said, 'Fourth wall? Where?'" Ellis, the show's director says Gosselaar is catching on quickly. "It wouldn't work if he didn't have a gift with it. And he just has it," says Ellis. Gosselaar's self-discovery hasn't stopped at drama. There's a cute dance number at the end of the Roundabout Theatre Company production which he says is one of his favorite parts. He now says he would even consider a Broadway musical if the opportunity came up. "I'm not opposed to it. I don't even know if I have a singing voice. I've never tried." Not everyone would admit their lack of knowledge so freely but Gosselaar says it's not worth it to pretend to know more than he does. "When I auditioned, I walked up to Scott and said 'I have absolutely no clue what I'm doing. I have lots of questions… Why am I going to lie about something? I have a great career in television. I would like to be a student of theater," he says. "I'm at the point in my career where I don't need to pretend. It gets old after a while." Ellis says he was surprised by Gosselaar's audition because it went so well despite his lack of experience. "I looked down on his resume and said, 'There's no theater here' and he said, 'No, I've never done theater.' That was shocking to me because his audition was so spot-on… He instinctively understands what the process is about. He asks the right questions." This may be his first time out, but Gosselaar says he's getting more comfortable with the process. "It used to be an hour before performance, you're revved up. Then it was a half hour: 'Oh, a half hour. Ohmigosh.' Then 15 minutes before, it became 'Oh, 15 minutes.' Now I think we're close to the five-minute mark. We're completely in costume and ready to go but when we get that five-minute mark we go, 'OK,' and we start doing nervous dances and things like that."